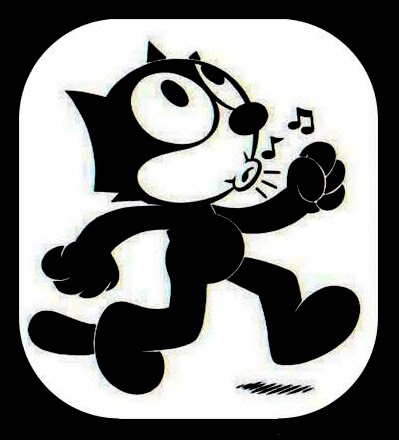 RETRO KIMMER'S BLOG: THE VERY HIP FELIX THE CAT! Felix the Cat is a funny animal cartoon character created in the silent film era. The anthropomorphic black cat with his black body, white eyes, and giant grin, coupled with the surrealism of the situations in which his cartoons place him, combine to make Felix one of the most recognized cartoon characters in film history. 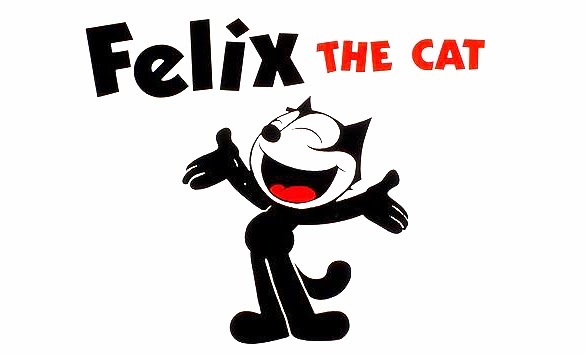 Felix was the first character from animation to attain a level of popularity sufficient to draw movie audiences. Felix's origins remain disputed. 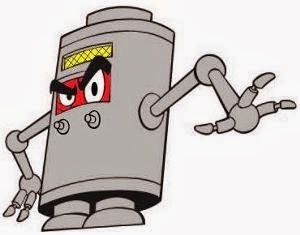 Australian cartoonist/film entrepreneur Pat Sullivan, owner of the Felix character, claimed during his lifetime to be it's creator. 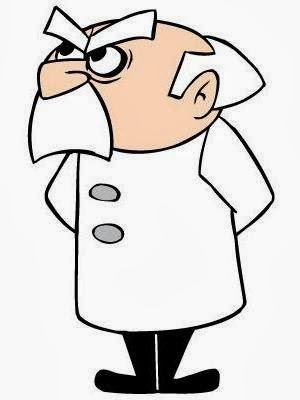 American animator Otto Messmer, Sullivan's lead animator, has been credited as such. What is certain is that Felix emerged from Sullivan's studio, and cartoons featuring the character enjoyed success and popularity in 1920s popular culture. 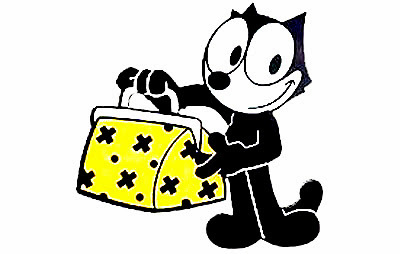 Aside from the animated shorts, Felix starred in a comic strip (drawn by Sullivan, Messmer and later Joe Oliolo) beginning in 1923, and his image soon adorned merchandise such as ceramics, toys and postcards. "End of the line for you. You are the grass and I'm the lawnmower..."
“I made a boo-boo! I MADE A BOO-BOO!" Professor Nutty Nut-Meg aka The Professor.